ALEXANDRIA, Va., May 14, 2018 – With the start of boating season and next week’s National Safe Boating Week, May 19–25, the BoatUS Foundation for Boating Safety and Clean Water has three tips to get boaters thinking about safety aboard any type of boat. 1. 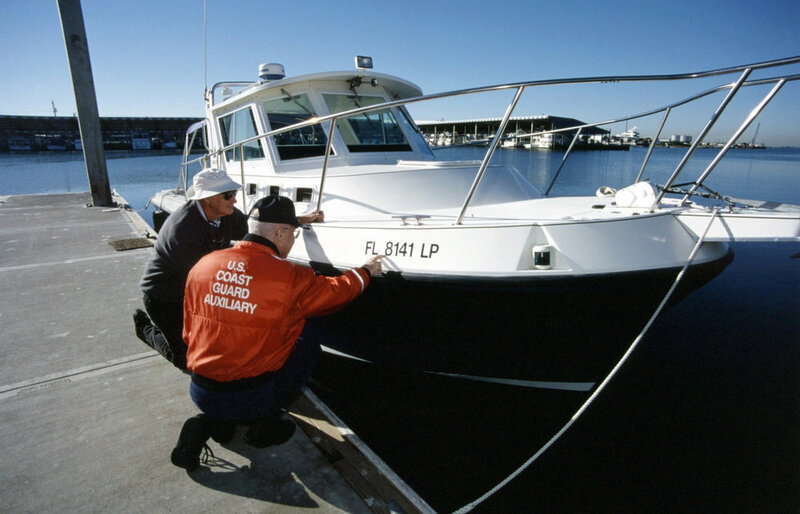 Open up your boat for a vessel safety check: You may think getting a vessel safety check from the U.S. Coast Guard Auxiliary or U.S. Power Squadrons can open yourself to problems. However, a no-risk, free vessel safety check does the opposite. It points out both the required and recommended items to have aboard, such as fire extinguishers, life jackets, distress signals, first-aid kits, and engine spark arrestors, and also helps provide a better understanding on the care and use of this critical equipment. Checks are done as a courtesy with no risk to the boater, so you won’t be in trouble if discrepancies are found. Go to https://bit.ly/1syhbDA to request a U.S. Coast Guard Auxiliary safety check or https://bit.ly/2I2uc8w for a U.S. Power Squadrons safety check. 2. Believe the numbers – take a safety course: Statistics from the U.S. Coast Guard Office of Boating Safety show that only 13 percent of all boating deaths in 2016 occurred on vessels where the operator had taken a nationally approved boating safety education course. So take this number to heart – taking a boating safety course improves safety. The BoatUS Foundation offers free online boating safety courses that meet the education requirements in 36 states and also may earn you a boat insurance discount. Go to BoatUS.org/Free. 3. Give a safety talk before you head out: Taking out guests is half the fun of boating, but before you head out give a little talk about how to stay safe aboard your boat. Some important things to include may be how to distribute weight in a small boat, how to hold on when crossing a wake, how a tuber or water skier should safely reboard after being towed, how the VHF radio works and the location of important safety equipment. Also, give everyone a life jacket to wear or keep in his or her immediate vicinity. If you don’t have a right-sized life jacket for a youngster, borrow one for free at more than 550 locations nationwide from the BoatUS Foundation Life Jacket Loaner Program at BoatUS.org/Life-Jacket-Loaner.